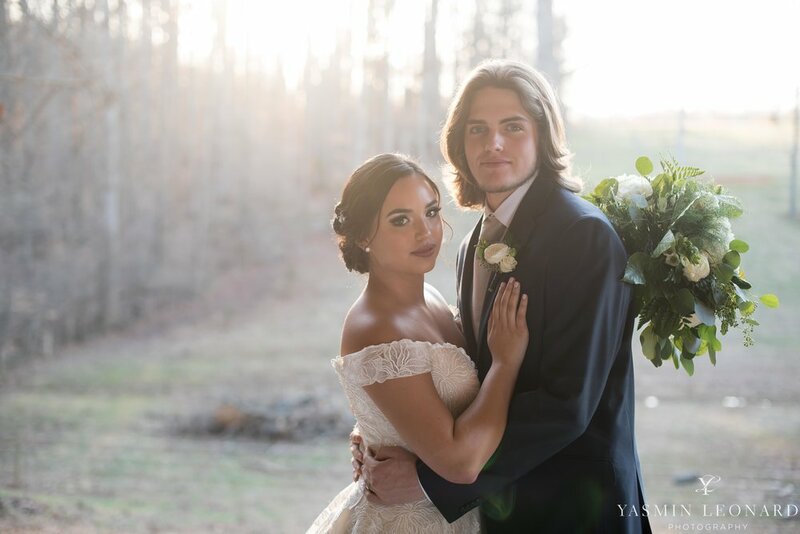 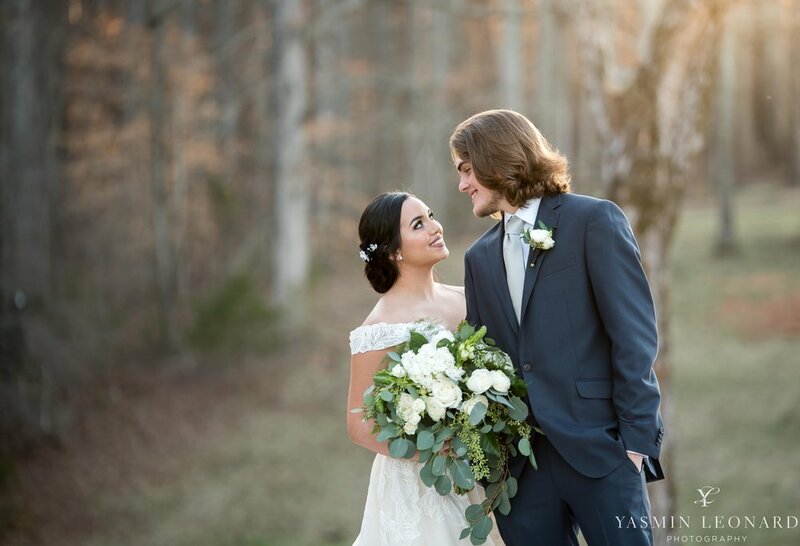 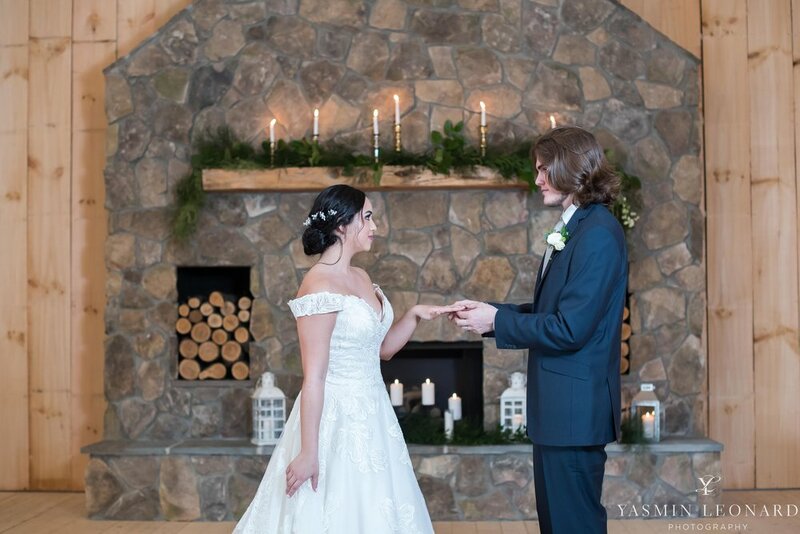 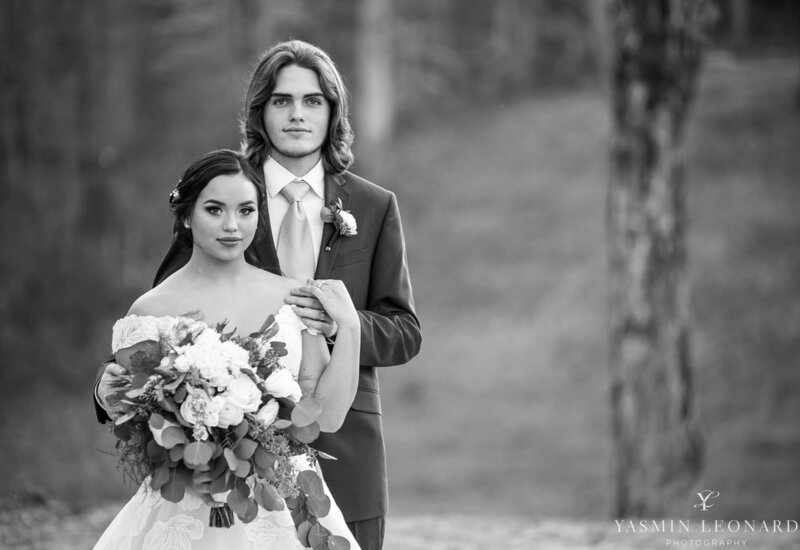 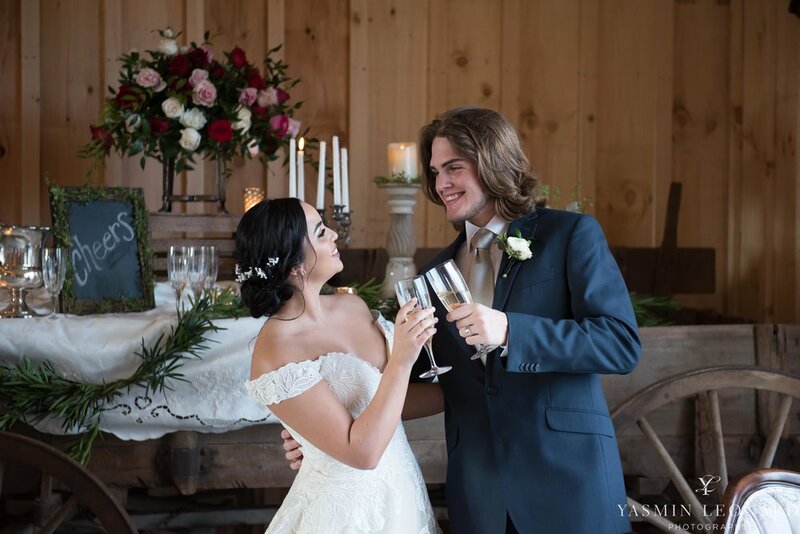 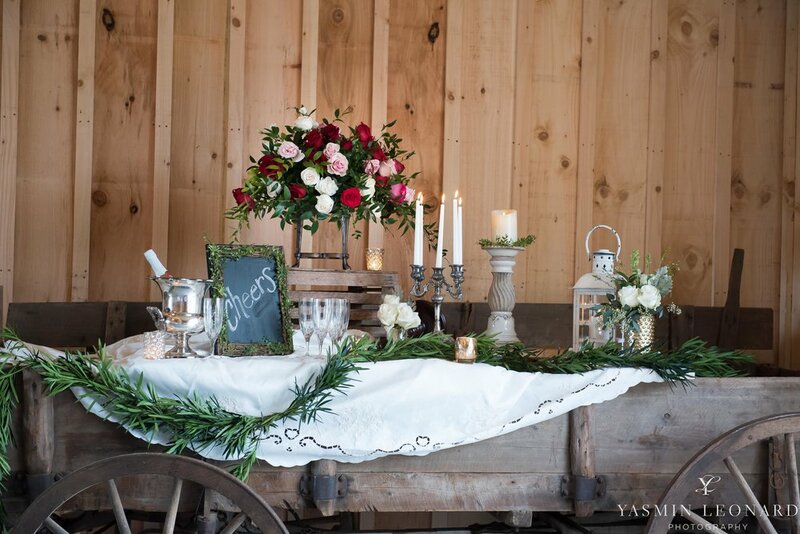 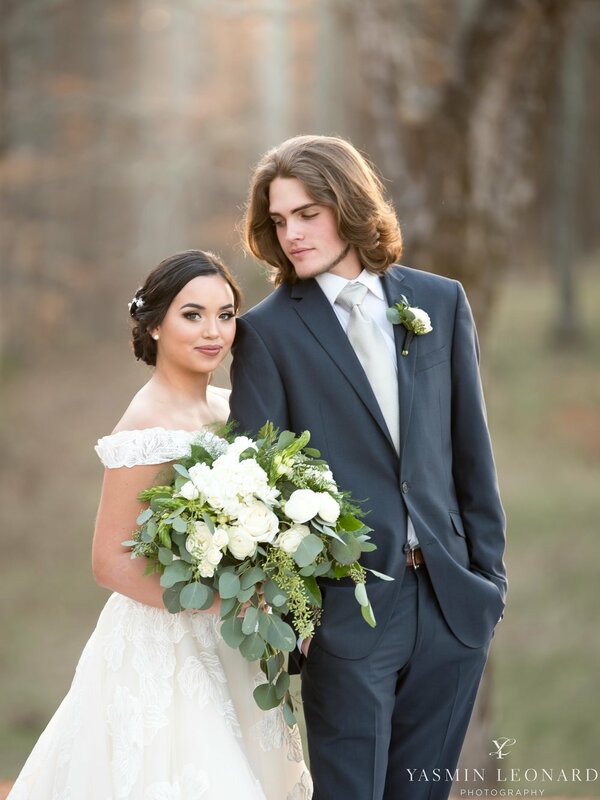 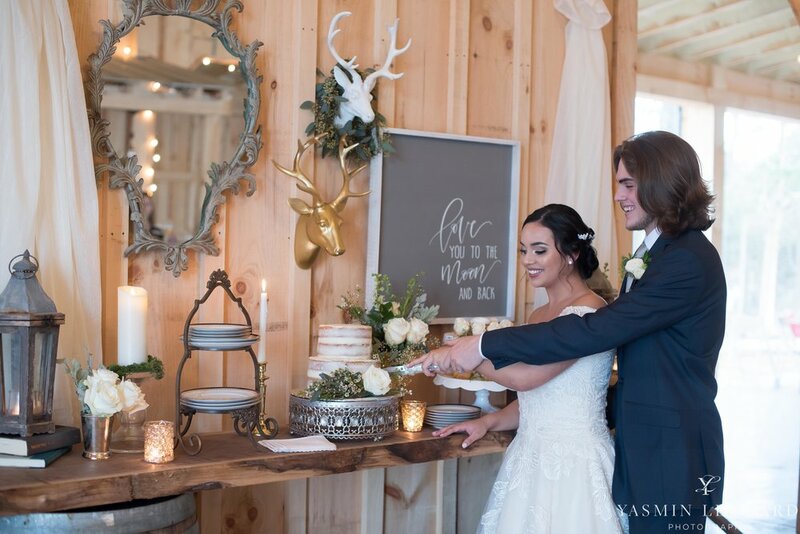 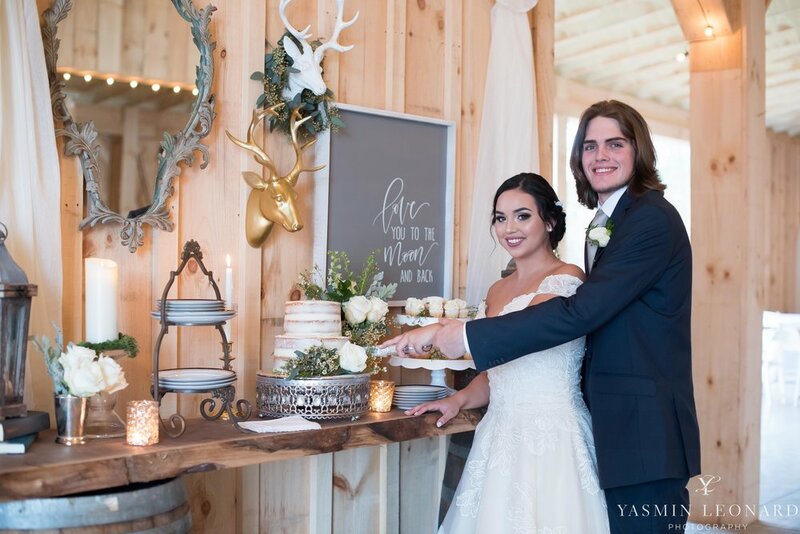 Old Homeplace Vineyard made the most beautiful backdrop for this styled shoot! 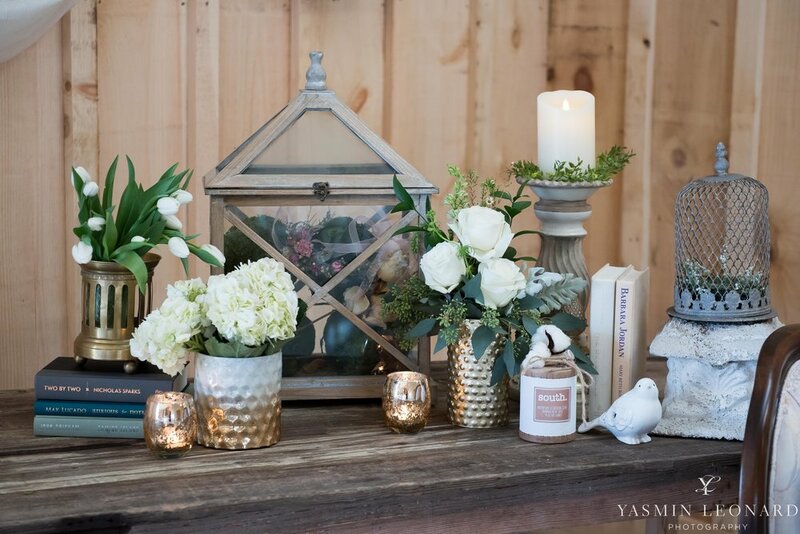 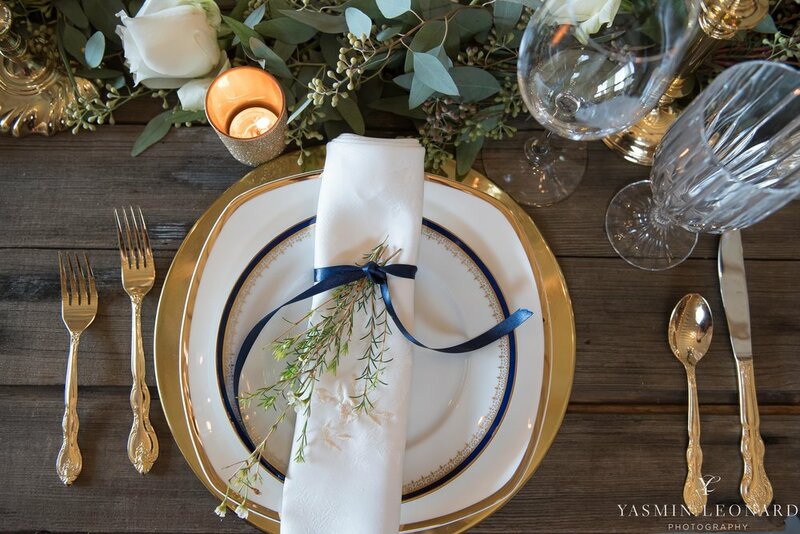 It was everything dreamy ...candles, greenery, white flowers, touches of gold and navy with a great mix of old and new! 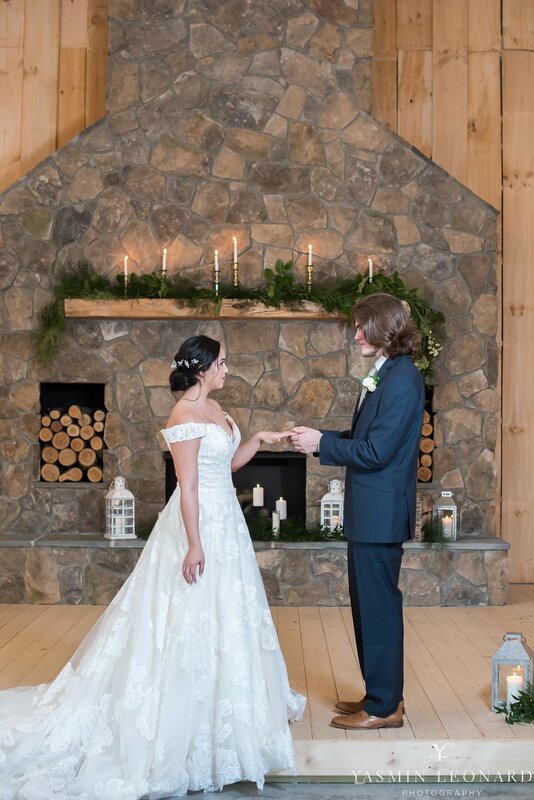 It all just came together perfectly! 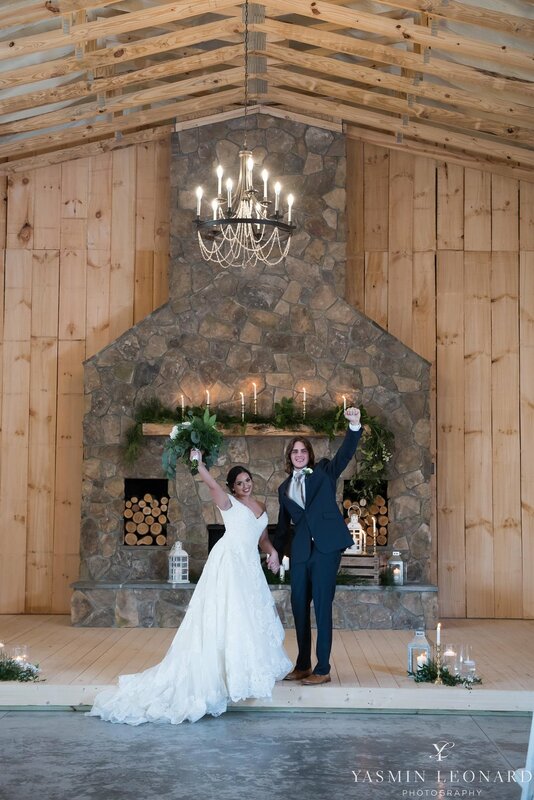 Terri Thomas, owner of Grits and Glitter, did a gorgeous job decorating this brand new wedding venue! 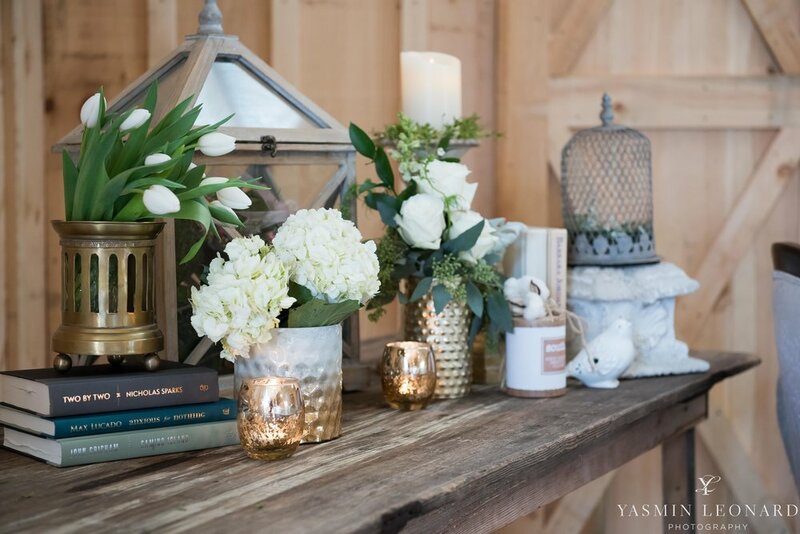 She beautifully mixes textures, patterns and florals to create an environment that just pulls you in! 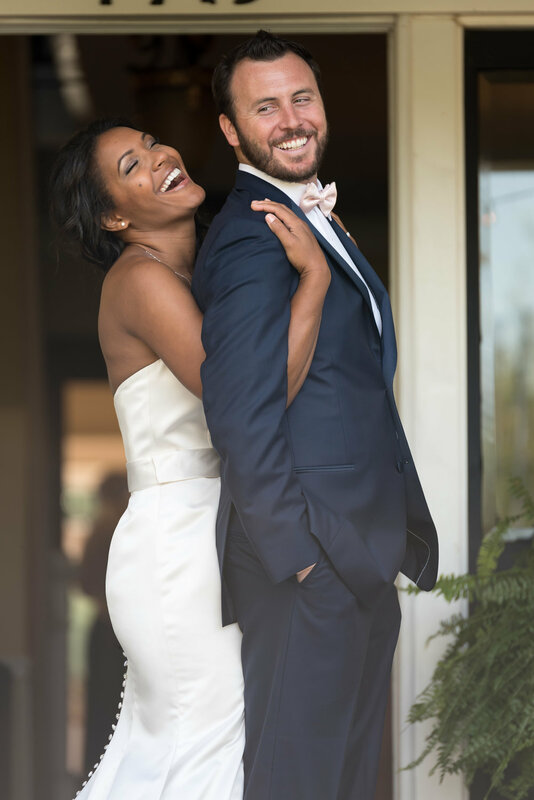 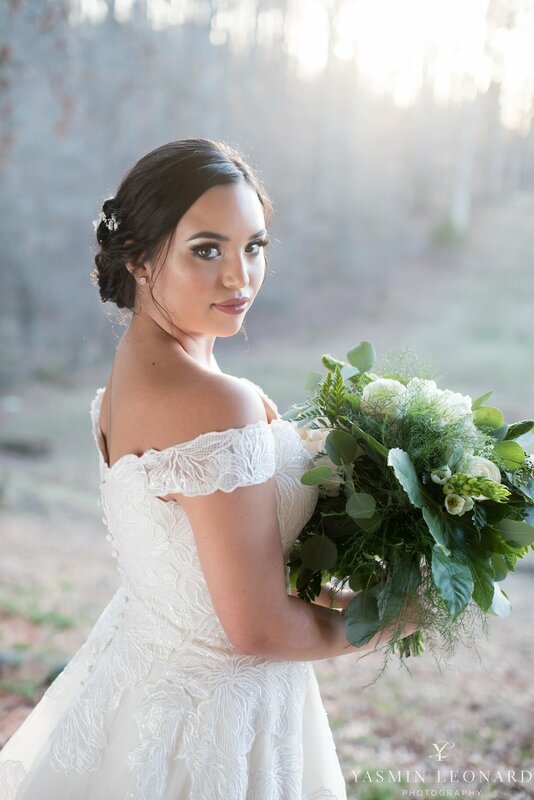 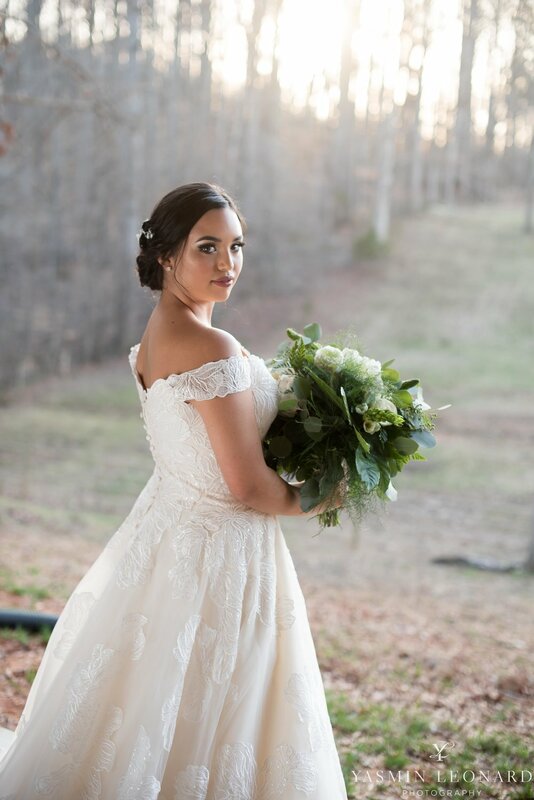 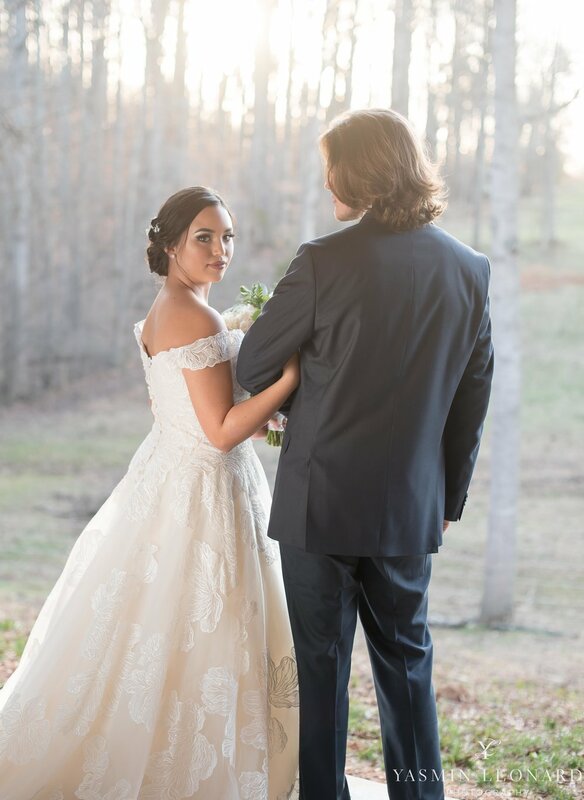 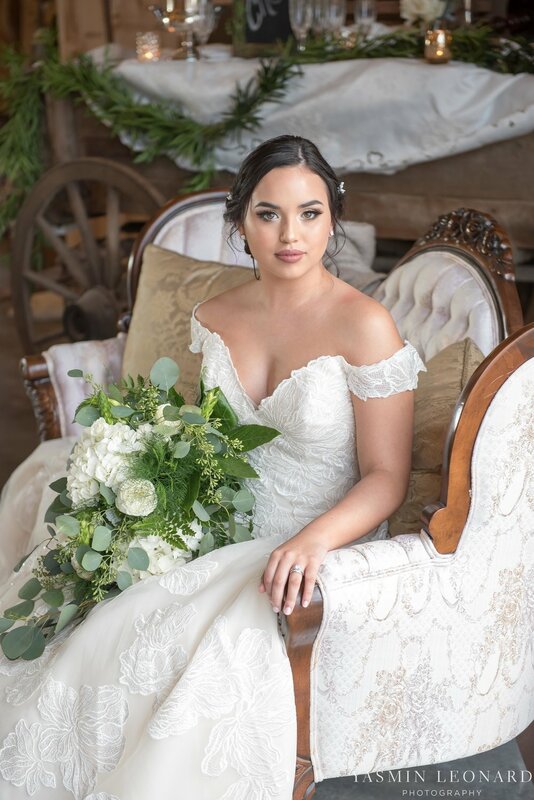 The stunning off the shoulder wedding dress was from Dashing Dames Bridal and Boutique in High Point, NC. 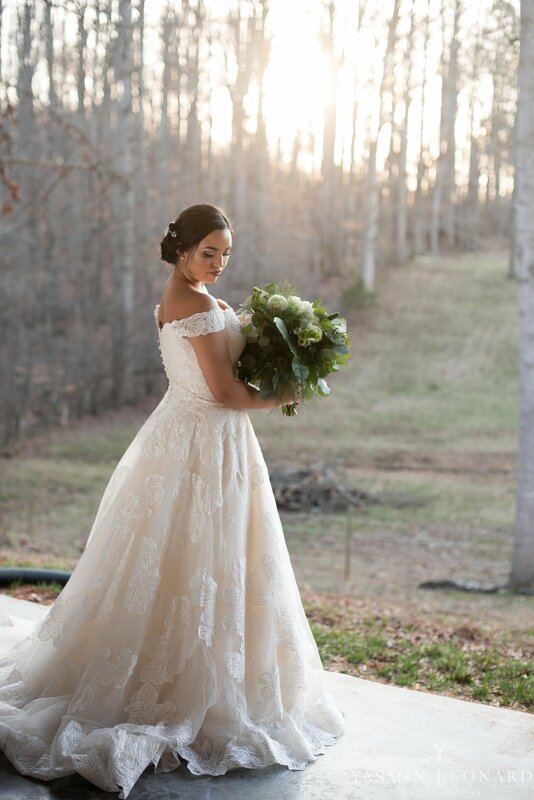 The dress fit our model, Teagan Rivera, perfectly! 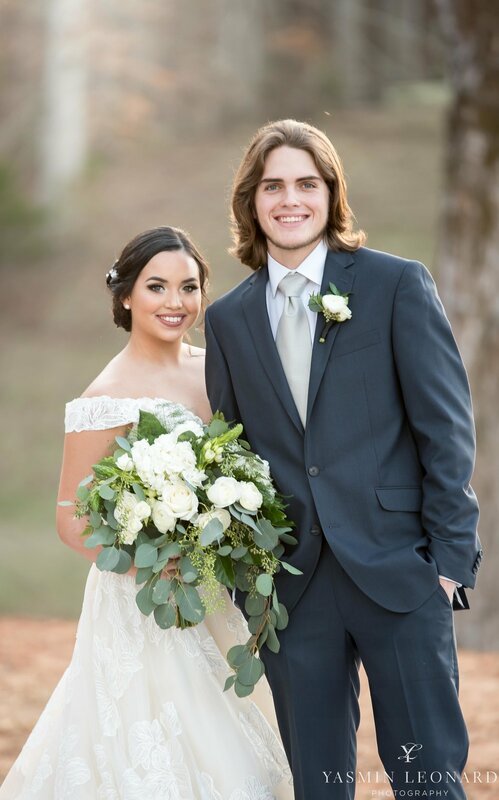 Teagan's hair was done by the talented Tabetha Martin! 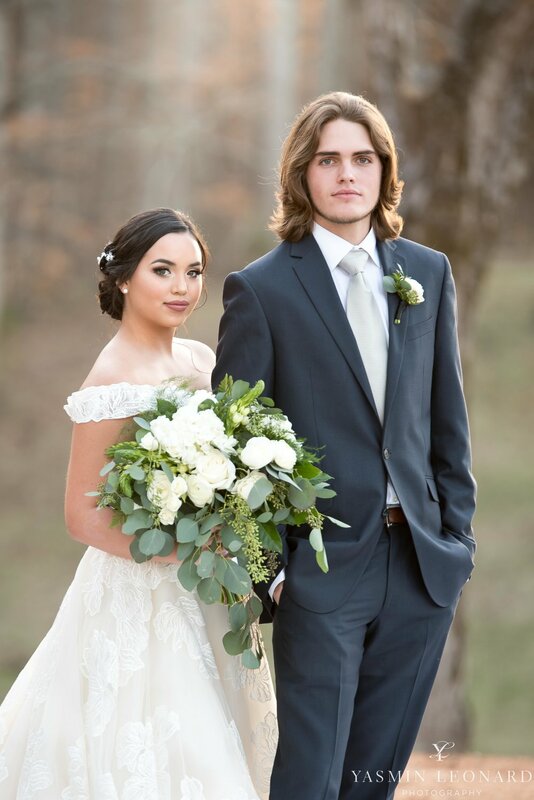 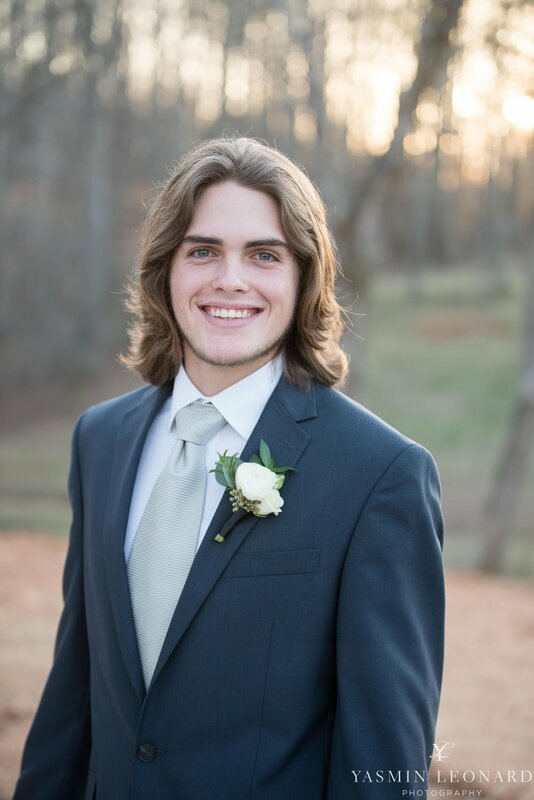 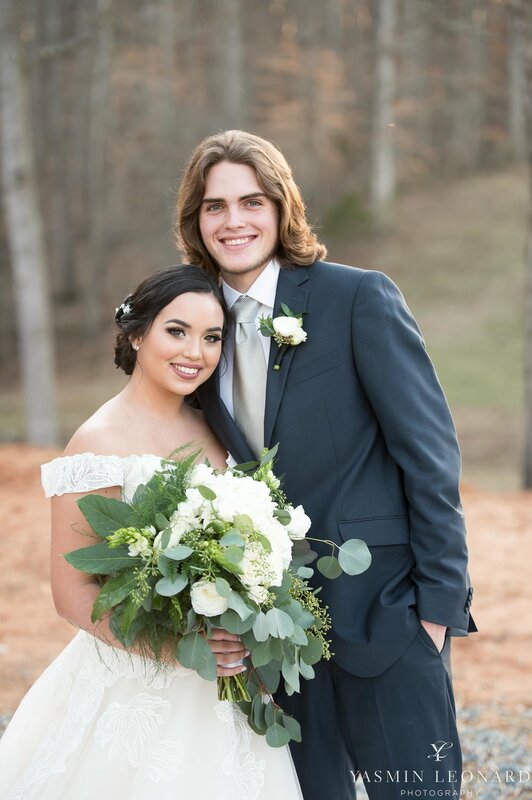 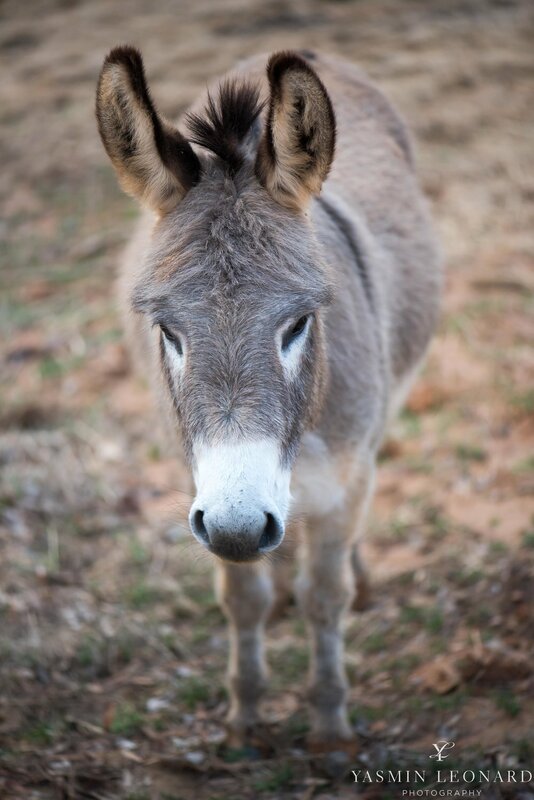 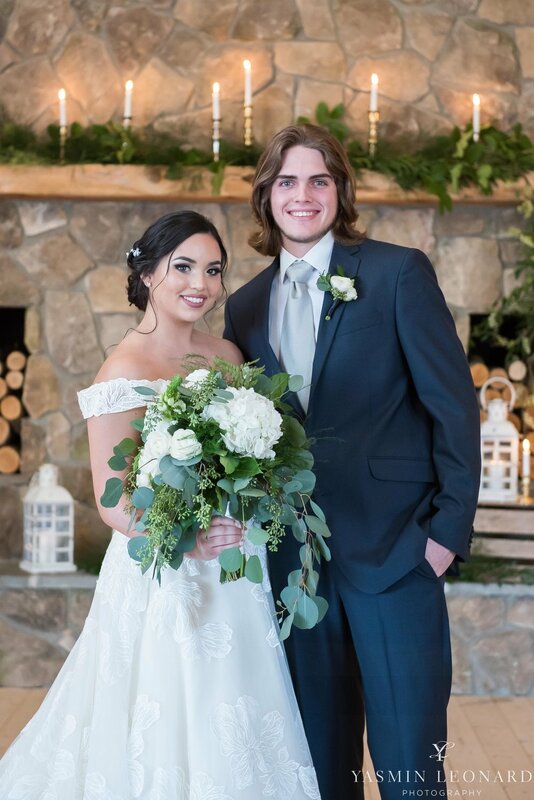 Our groom was model, Jackson Stroup! 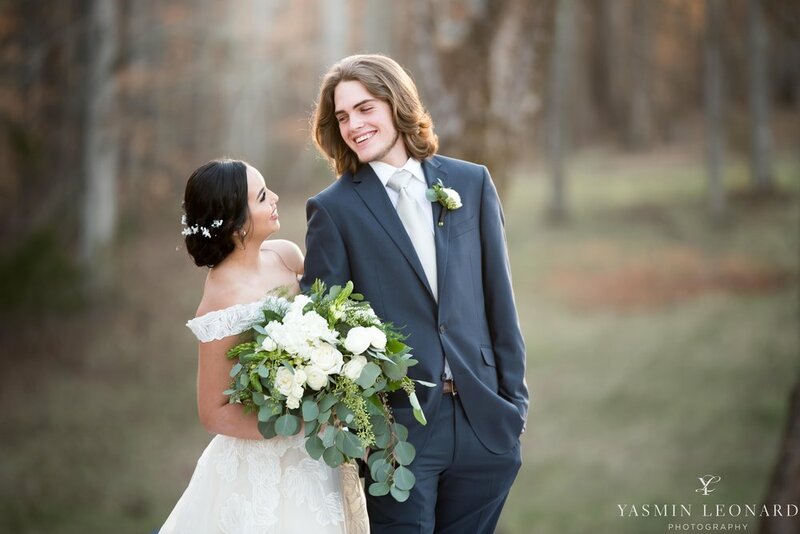 We instantly fell in love with his long hair and untraditional look. 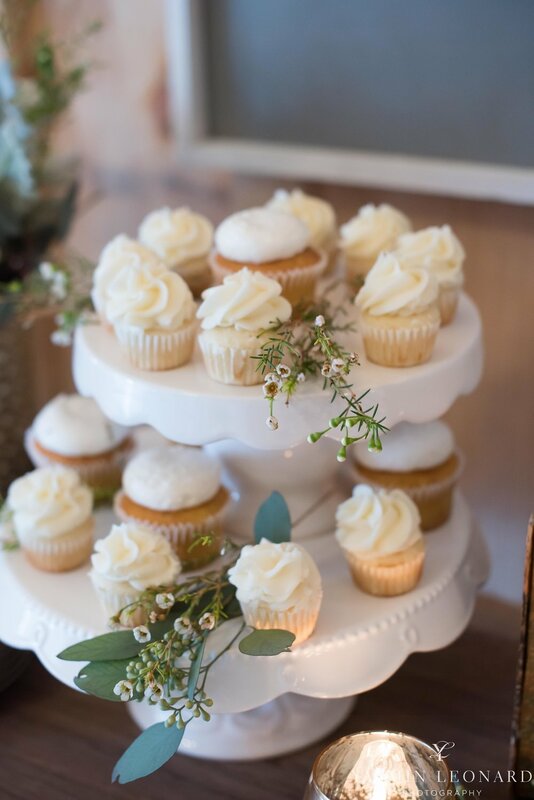 Cupcake Cuties in Wallburg created our naked wedding cake, and I can honestly say, It was delicious! 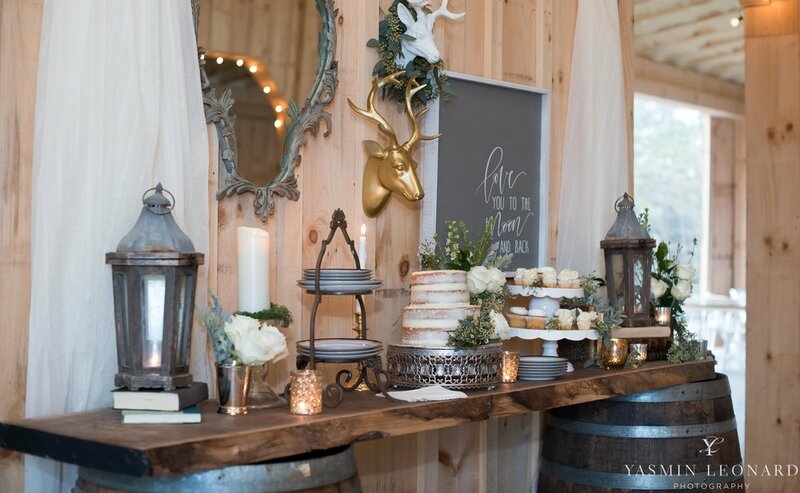 Cabin Creek Antiques provided many rentals! 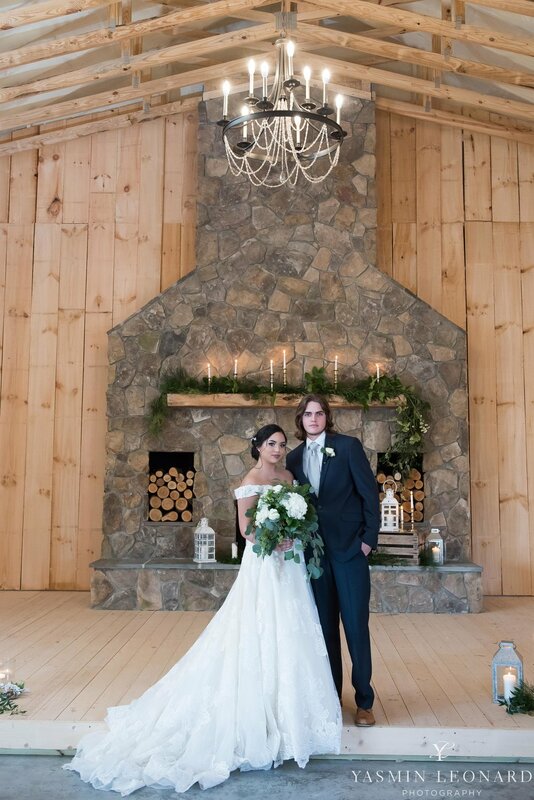 High Point Jewelers were the absolute best to work with and gave us the most beautiful rings and earrings. 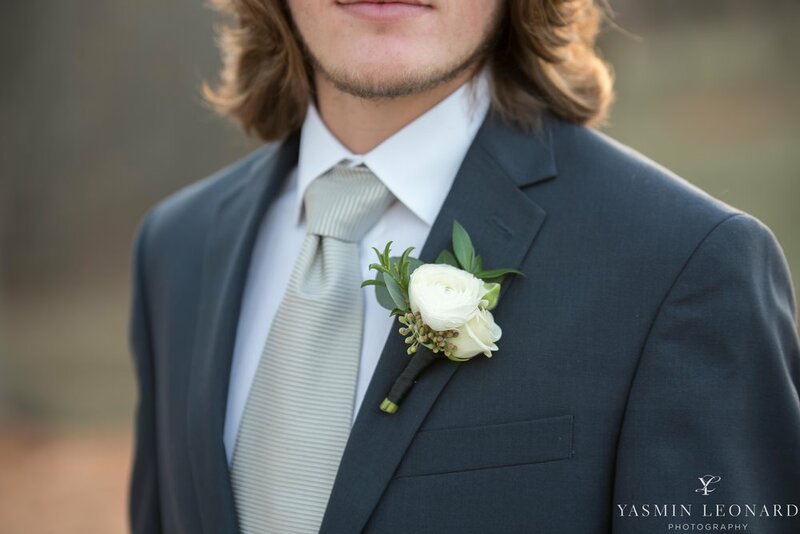 Just Priceless didn't disappoint, as always, and created the lush, classic green and white bouquet and boutonniere. 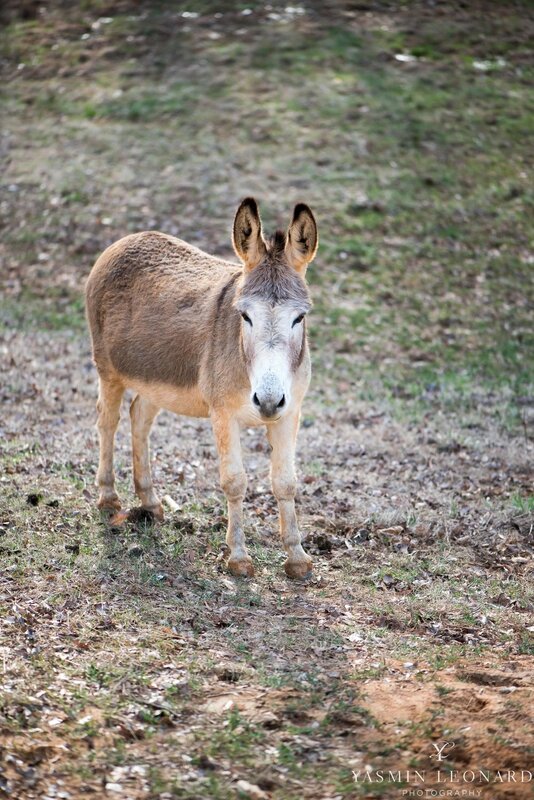 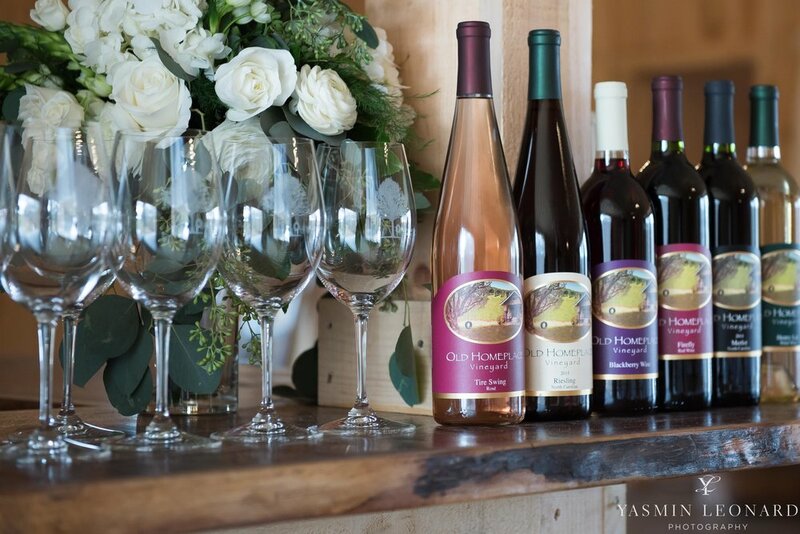 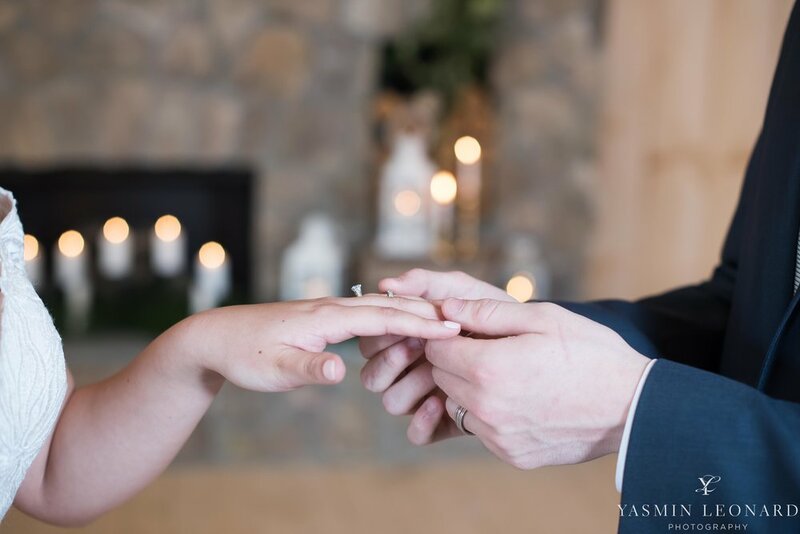 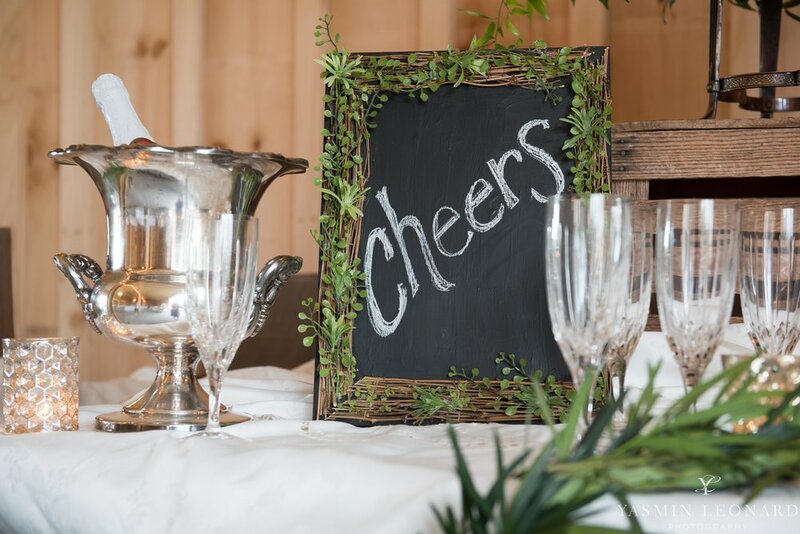 Old Homeplace Vineyard would make the perfect location for your wedding or next event!